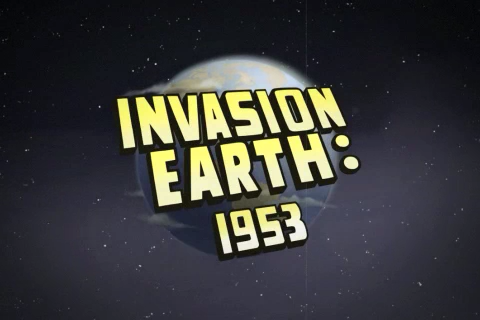 Invasion Earth: 1953, Why Protect Earth From Alien Attacks When You Can Destroy It? 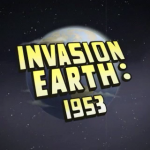 Invasion Earth: 1953 ($1.99) by 285 Digital is a shoot ‘em up game set on a post-World War II earth where the Cold War is the least of civilization’s problems. You're an alien and your job is to destroy all the humans. 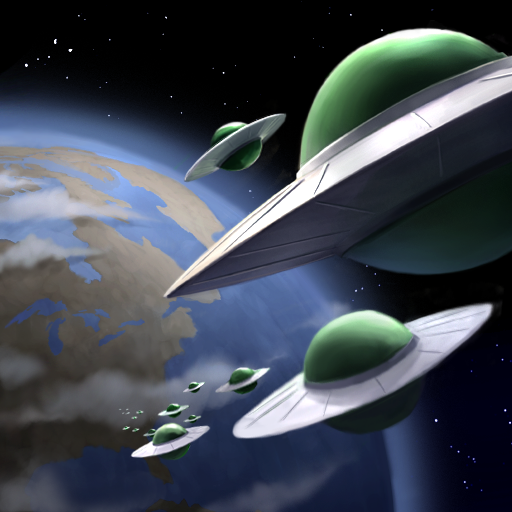 You are flying a retro style UFO, straight out of the 1950s. 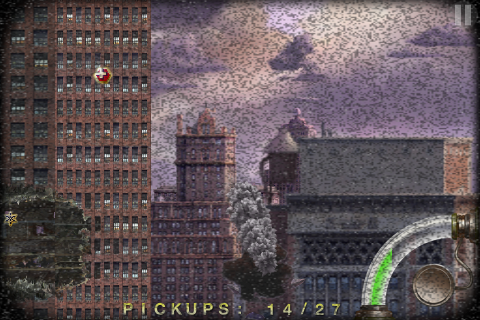 The weapons are set to auto and things are blowing up all around you. Your goal is to make it through a level without being shot down. 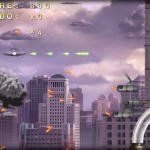 Using touch controls, you must dodge bullets and missiles, collect power ups, and maneuver through shattered buildings. You don’t have to aim or fire, just keep moving. Each level has a set of goals for you to achieve, like “gain an X50 bonus multiplier,” and if you achieve those goals, you gain rewards that will help you succeed in future attacks. You must have fast reflexes and the ability to think ahead. As the bullets fly toward you, your only chance at survival is to know the best direction to move. If you shift upward just before a barrage of missiles is launched at you, you may be stuck without an escape. 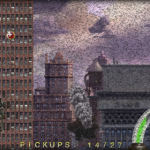 The artwork and graphics are what make this game stand out. 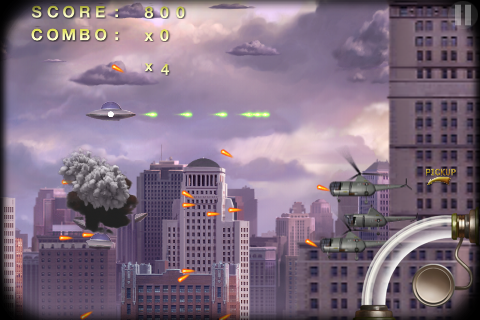 The 1950s retro imagery mixed with the unrelenting attack on humanity is the perfect landscape for a sci-fi escapade. There are 31 achievements and 12 upgrades for you to unlock. There are three special weapons available; shield your saucer, a magnet that will attract all power ups to you, and a laser beam that will annihilate anything in its path. 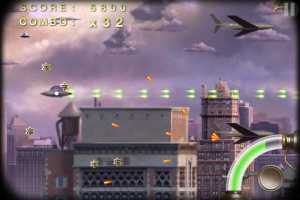 Overall, this shoot ’em up game is an absolute blast. The game is very challenging and does not skimp on the destruction fun. 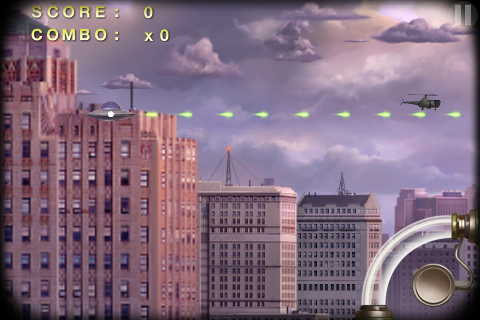 There are plenty of levels, achievements and bonuses. The price is right at $1.99. 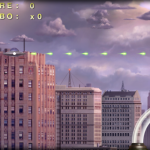 If you like auto-shooter games, this sci-fi adventure is for you.